As more and more young women and men continue to tap into their spirituality — whether that’s through energy work, art, or something else on that spectrum — they’re paving the way for what it means to be a “mystic millennial.” Isaiah K Stephens is an artist whose #AstroWitchProject fits into this narrative seamlessly. 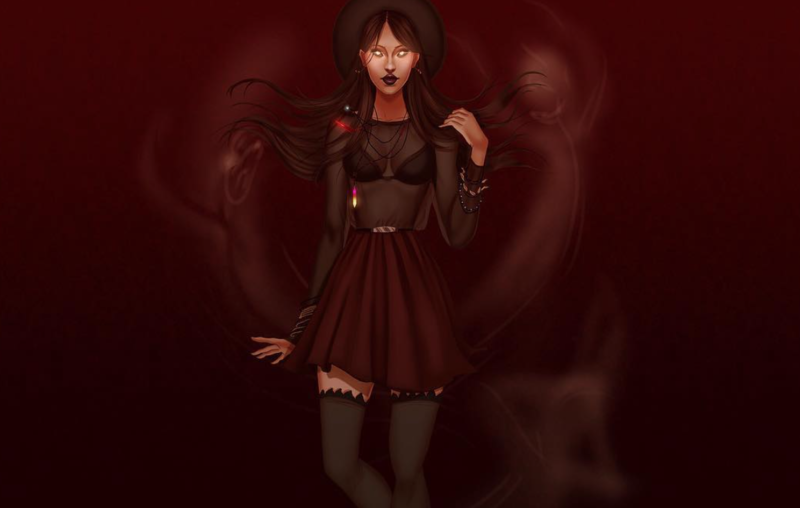 By imagining each zodiac sign as a different type of fictional witch, like a heart or storm witch, Isaiah is playing with our love for all things occult. After seeing a Tumblr post that described each astrological sign as witches, and disagreeing with a few of them, Isaiah took it upon himself to redefine and illustrate the qualities of each sign, and then the #AstroWitchProject was born. In an exclusive interview, we spoke to Isaiah (who’s a Scorpio himself) about the project and what inspired him to start it. "I've always been a big fan of witch-themed media. Movies, TV shows, books, video games, all of it! Buffy the Vampire Slayer and Charmed have been two of my favorite shows ever since I was a kid." This lent itself into his fascination with witchcraft, and later astrology. When asked if he had a favorite witch to draw, he said, “All of them were fun to draw! Though I have to remain loyal to team Scorpio! I align very well with my star sign. Though I know a lot of other people feel differently.” We totally respect being loyal to your own sign! And since Isaiah said he has plans for other projects, astrology-themed and not, we’re just glad to know he’s not done creating. Check out Isaiah’s art on Facebook and follow him on Instagram to keep up with his creations (and to see the rest of #AstroWitchProject)!